Orc’s in Space! That’s what I though as soon as I saw these guys in Jabba’s palace in Return of the Jedi. 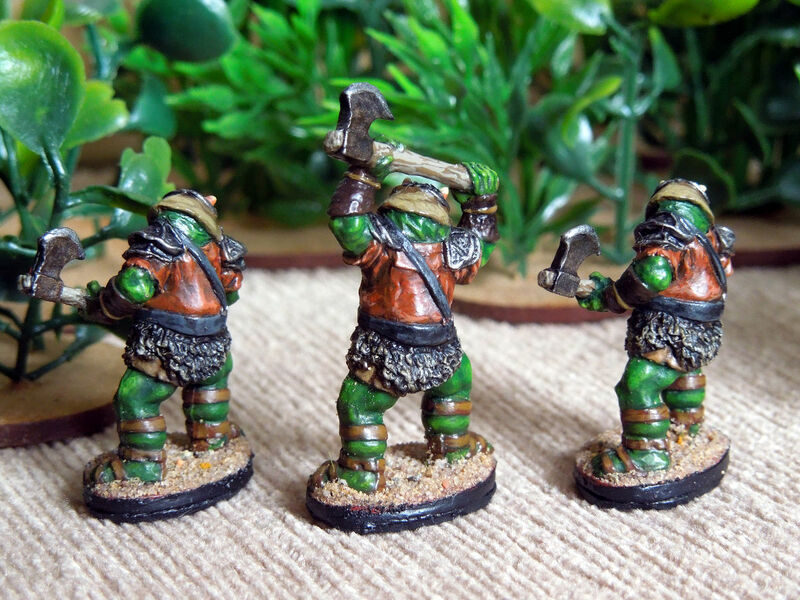 Big green pig faced axe wielding thugs - orcs! Great fun to paint. I alternate between Sci-Fi and Fantasy figures and after doing so munch Star Wars recently I was feeling the need to take a break. 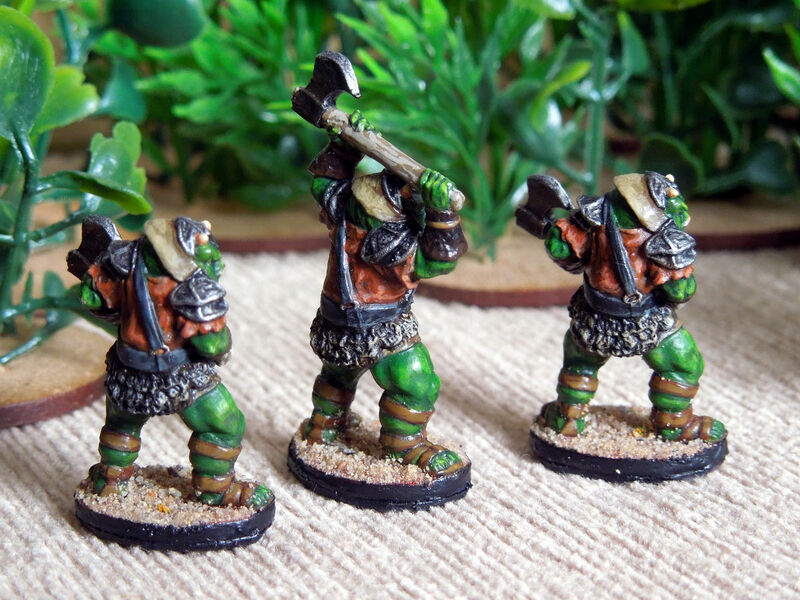 Painting these few more like fantasy figures than Star Wars and I cannot remember the last time I painted a green orc (the closest would be last years RuneQuest trolls which were grey/blue). 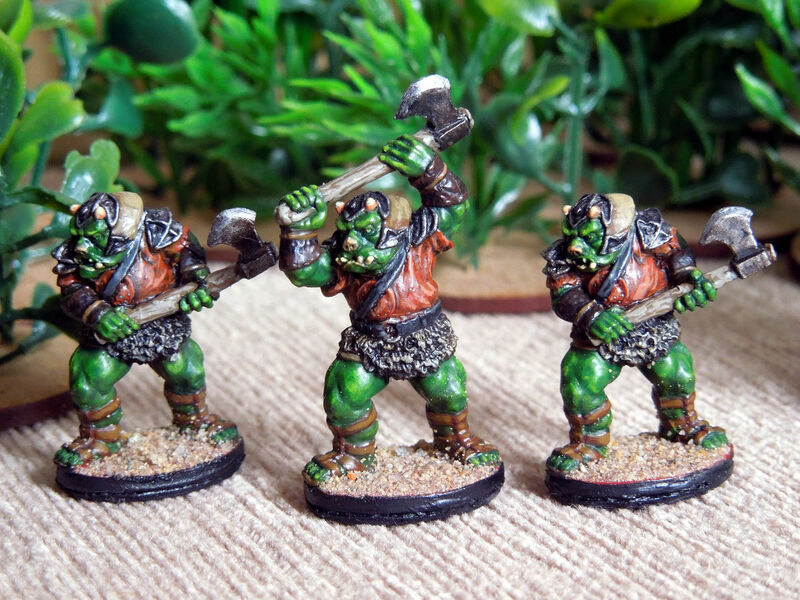 The Gamorrean on the right came from the Return of the Jedi Box set. The middle one from Jabba’s Palace set. I don’t recall where I acquired the one on the left. Interestingly while almost identical the two flanking guards has different faces, but as far as I can tell they share the same product code.